Most sleep psychologists know how to refer a patient for a sleep study, but not many know how to conduct one. Enter New York City sleep specialist Dr. Joshua Tal. As a former sleep lab technician and current licensed psychologist specializing in insomnia, he brings a unique perspective to the search for high-quality shuteye. Join me as I catch up with Dr. Tal and chat about sleep as the new focus of wellness, and why not worrying about sleep might be the best way to catch better Zzz’s. My parents opened a sleep lab when I was in college and I was their first sleep technician. I became fascinated by the biological systems leading to sleep and its many benefits. I also saw that the business of sleep medicine was focused heavily on sleep-related breathing issues, while there was another psychological component to getting a good night’s sleep. Through sleep research at Stanford University and insomnia treatment training through the Veteran’s Hospitals, I became a sleep psychologist so I could attend to sleep and mental health issues. How does your work inform what you used to believe about sleep? Bad nights of sleep can have drastic consequences, affecting concentration, memory, mood, and physical health. Sleep is an important topic to review when working with my clients, whether on issues around insomnia, life transitions, or addiction. I’ve always believed that with improved sleep habits, we see better functioning in other areas of life. This has definitely proven true in my private practice. What do you think are the most important recent advances in our understanding of sleep? The popularity of sleep as a health and wellness goal. This is a big deal when it comes to de-stigmatizing sleep dysfunction. The tone around sleep is starting to change along with thoughts and beliefs about sleep. Our culture is making the connection between wellness, sleep, and improved mental health. Advances in the discussion of sleep are opening doors to alternative routes to wellness, such as cognitive behavioral therapy, mindfulness, and exercise. Many people think of sleep as a physical process, not a psychological one. How is a psychologist or psychiatrist able to treat sleep disorders in a way that a neurologist or other sleep specialist can’t? Some sleep disorders like sleep apnea and narcolepsy are primarily physical. We’re learning that even though a disorder like insomnia may have physical causes, it’s usually maintained by psychological and behavioral factors such as how we think about and act around sleep. Psychologists and psychiatrists are trained to assess mental health from multiple viewpoints: triggers, life stressors, environmental factors, side effects from medications, or a mental health diagnosis. It’s important to understand each person’s story and rule out other sleep or mental health disorders. Mental health training prepares us to investigate the various factors impacting sleep and provide cutting edge, evidence-based treatments. One of your primary methods of treatment as a sleep specialist is Cognitive Behavioral Therapy (CBT). Is this treatment effective for sleep disorders other than insomnia? CBT can be used for various mental health disorders such as depression or anxiety, and can also be applied to anxiety or depression around sleep disorders. Other mental health treatments for sleep disorders include compliance with sleep apnea treatment and image rehearsal therapy for chronic nightmares. When there’s a medical issue at play such as sleep apnea, it’s important to be diagnosed in a medical sleep lab and receive the proper treatment for safe sleep. What do you wish everyone knew about sleep? One of the first things I tell my clients is, the more you worry about sleep, the less likely it is that you’ll sleep. It’s important to tackle sleep issues while also maintaining your sanity. Remind yourself on sleepless nights, what’s the worst thing that will happen tomorrow if I am tired? I’ve successfully handled a bad night before, I’ll handle it again. The less you worry, the better the chance you’ll get some sleep. 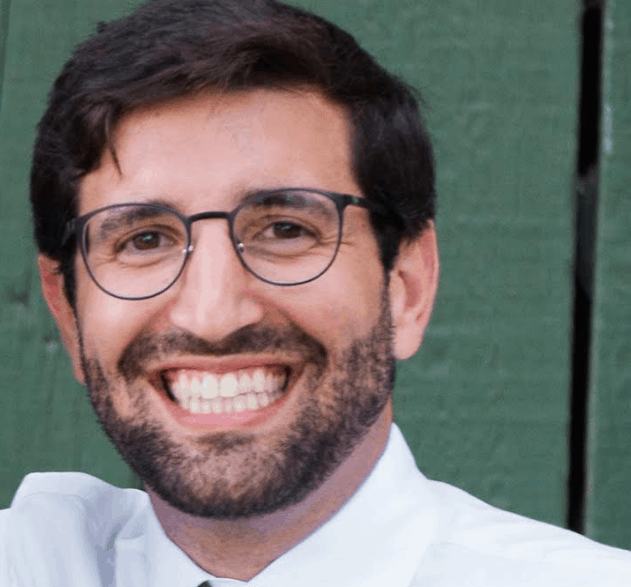 A huge thank you for Dr. Joshua Tal for chatting with Sleepopolis! You can find out more about Dr. Tal and his practice at his website and Instagram.